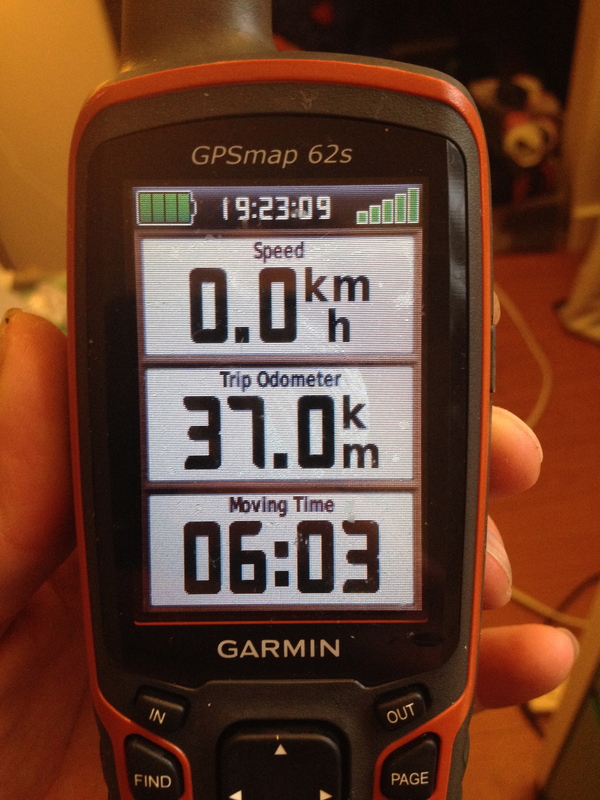 I paddled over 100km this week and am feeling in good shape both physically and mentally. 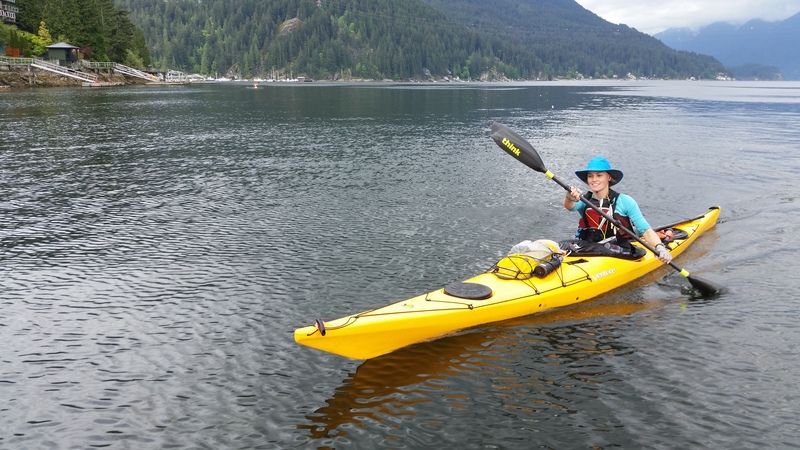 Last Saturday I paddled with my friends Dave and Amber on Howe Sound where we witnessed a bear and its two cubs feeding directly on the shoreline (video on my training page). Then on Monday I took out the surf ski again on English Bay and tested out the sound quality of the Go Pro I’m borrowing. The waterproof case muffles the sound completely so I’m going to have to find a better solution for videos during the race. 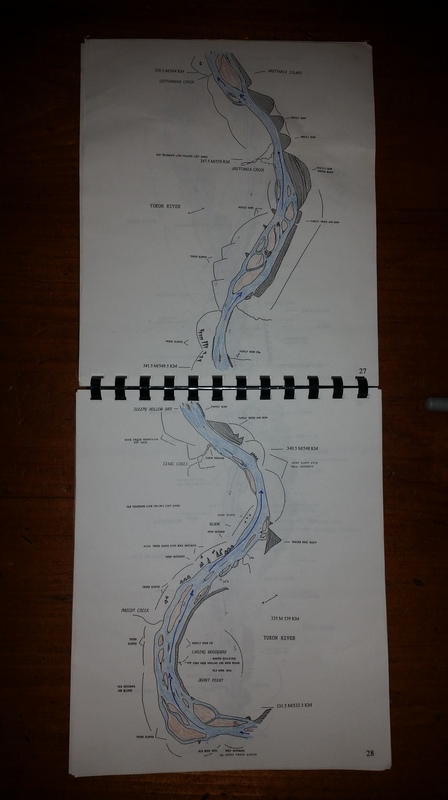 My friend Pam’s husband Jim came to Vancouver on Sunday and gave my friend Jason (who’s doing the race on a SUP) and me maps of the river, allowing us to copy his markings for where the fastest currents are. As the river gets closer to Dawson it widens and turns into a maze of channels weaving between islands, so having these maps combined with my GPS will be key. Jim knows every eddy and shallow sand bank to avoid, but just knowing which direction to head in is enough for me! On Tuesday night I raced in Deep Cove completing the 5km time trial in 29:29.9 and placing 23rd overall. Not bad for the slower boat I was paddling, which was classed as a sea kayak although I was paddling a slower and more stable Epic V6 surf ski. Then on Thursday night we did it all again in the Big Chop race down on English Bay where I paddled Daryl’s Think Eze (the owner of Think who lent me his demo Powerwing Paddle). I wasn’t too far off the pace, even though my boat was taking on water because I’d forgotten to take out the plug so it could pump itself out! Then finally today Jason and I launched from Deep Cove and paddled 37km to the old power station and then back towards Port Moody before rounding a tanker and heading back towards the cove. My wrist and elbow niggled a little, but with the new Powerwing Paddle and better body rotation, I seem to be using my stronger leg and torso muscles and reducing the strain on the weaker ones. After 6 hours on the water today I decided to film the procedure of how I get my 27kg (59 pound) boat back onto my car. I realised half way through it was full of water before a man offered to help me and I politely refused! Hi Ros, wishing you all the best, I will be following your progress. Just remember to pace yourself- there’s nothing more demoralising than running out of arm power in a kayak race. Been there , done that! Best Wishes Gary/ Perth WA. Thanks Garry! Great to hear from you! What kind of racing have you done? Curious to hear more!